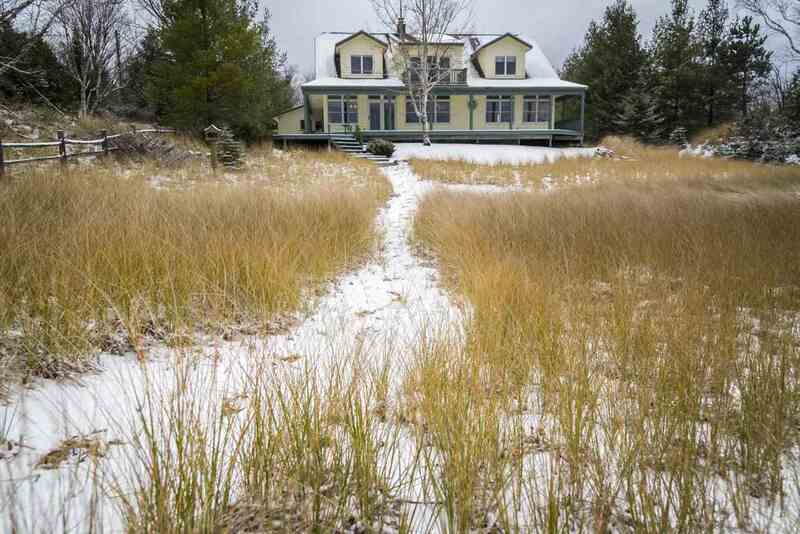 Beautiful and private setting tucked in the sand dunes along the shore of Lake Michigan just south of Charlevoix. Walk the sand and pebble beach and take in the views of the lake including South Fox Island. Relax in the open floor plan with warm wood tones, fireplace, and large windows allowing plenty of sunlight and spectacular views. This home works perfect for the year round family or seasonal owner who wants space for the guests. Main floor living, second living room up with wet bar and deck overlooking the bay, large walk ins, and a finished basement stubbed for a full bathroom. Enjoy northern Michigan`s beauty in this peaceful and quiet setting. The neighborhood is great for walking the dog and kids to ride their bikes. The owners have made numerous recent upgrades including the mechanicals, appliances, drain field and much more. See list for full details..
Bath 1 Dimensions: 9'7" X 7'4"
Bath 2 Dimensions: 11'2" X 8'8"
Bdrm 3 Dimensions: 19'4" X 13'7"
Bdrm 4 Dimensions: 19'4" X 11'1"
Family Rm Dimensions: 12'6" X 11'11"
Kitchen Dimensions: 13'6" X 11'0"
Living Rm Dimensions: 26'11" X 13'5"
Master Bdrm Dimensions: 14'8" X 14'1"
Rooms 1 Dimensions: 18'4" X 16'4"
Rooms 2 Dimensions: 10'4" X 8'8"
Utility Dimensions: 9'7" X 9'7"